Not that you could tell from my until-now-punctual postings, but I have been away for a few weeks. What follows is part travelogue, part what-we-bought, and part exhortation for you to buy some stuff, too. In a complete reversal of the way I usually do these things, I'm going to start with the review, so if you like, you can just read that and ignore the rest rather than having to scroll all the way to the end. You're welcome. 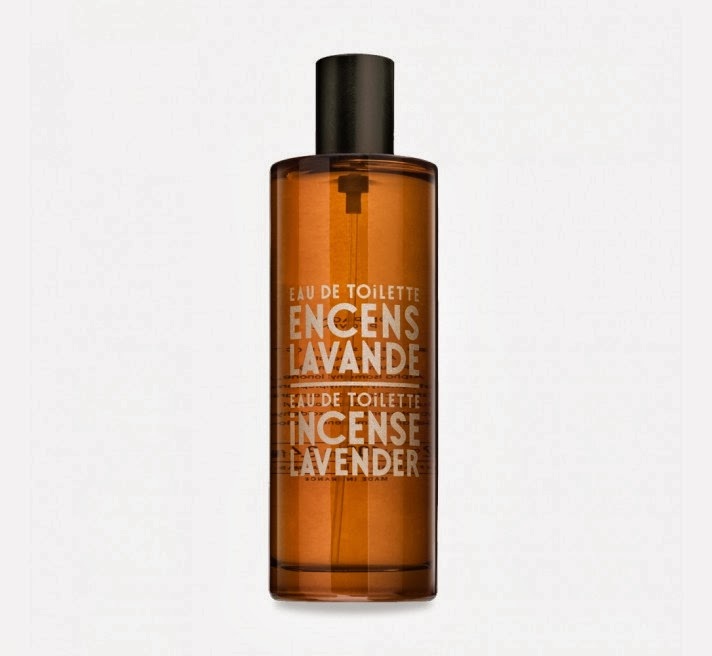 One of the things I bought on the trip was a bottle of Encens Lavande (Incense Lavender) edt by Compagnie de Provence. 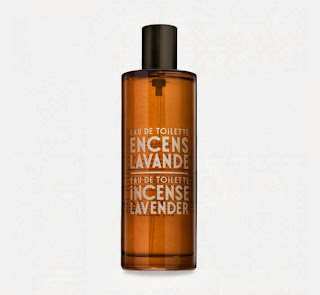 They make two other scents, Jasmin Noir and Anis Patchouli, both of which I found not to my taste at all (I thought they were kind of gross, to be honest), but Encens Lavande is very me. Serge Lutens makes an Encens et Lavande, one of the Exclusive scents that you can buy in Paris and hardly anywhere else in the world: I tried it in a somewhat evaporated and therefore likely compromised state, and even then I liked it very much, but it is not better than the far less expensive Compagnie de Provence version. Encens Lavande opens with a little sparkle of citrus notes and an expansive, soapy lavender, burning down into sweet sandalwood incense. And that is really just about it. What makes it wonderful is its strangely polymorphic personality: while staying true to itself, it seems to keep presenting facets that are by turns sudsy, gourmand, thick, attenuated, herbal, dry, hazy, and dense. It's a kaleidoscope of scents packed into a very small olfactory space. It reads as masculine — a barbershop in a Buddhist temple — but obviously that is not going to stop women from snagging it, too. I paid $69 Canadian for a 100-mL bottle, and for niche that's a bargain, but you can probably do even better if you shop around: I saw the line in the US for I think $46, and online it's €25 or so. This time last year we were getting ready to head off to Tokyo: it was our twenty-fifth anniversary, and I chose the destination, so this year, my fiftieth birthday, I said to Jim, "You get to choose this time. Anywhere you've ever wanted to go." And after a day's mulling, keeping in mind the cost and the time restrictions we were working with, Jim said, "San Francisco." And so it was. Big cities like London, New York, and Tokyo are — if you love big cities — immediate: they grab you by the throat and force you to experience them head-on. You don't really have a choice. San Francisco, on the other hand (and compared to those), underwhelmed us at first, but after a couple of days we began to understand that instead of seizing you, it took you by the hand and gently guided you into its mysteries. By the end of the first week, we said the same thing we have said of any number of cities: "Yeah, given enough money, I could live here." We did all the usual touristy stuff: Alcatraz (self-guided audio tour, very cool), riding the cable cars (UNBELIEVABLY cool), the California Academy of Science and Golden Gate Park and the Aquarium and Fisherman's Wharf and The Castro. And we just walked around and drank it all in. The weather was nearly flawless, only a few hours of rain one morning. The Golden Gate Bridge, though, is, I am sorry to say, a massive disappointment: yes, it photographs well, and yes, it was a marvel in its time, and yes, I expect this is heresy, but as an object it is a very dull thing. We took a bus across and walked back, as we like to do, and it was drudgery: even the vaunted view of the city didn't lift our spirits. The Brooklyn Bridge is glorious: crossing it is like walking through an enormous cathedral. The Millennium Footbridge in London is a magical piece of pontine architecture, like walking along a giant spiderweb. The Golden Gate, on the other hand, is just a bridge. If you're going to do a tour of Bridges of the World, I would honestly have to suggest you skip that one. 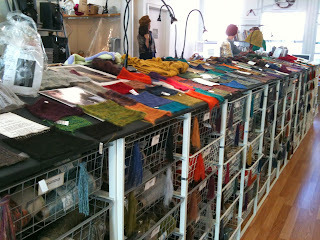 If you don't knit or otherwise work with spun fibres you can also just skip the next bit, which is going to go on, but I can't help it: there is a place in San Francisco called Artfibers (for the time being 266 Sutter Street, 3rd floor, mere blocks from our hotel, although they're closing up shop in January and selling only via the Internet) which has the most astonishing yarns, and you are doing yourself a disservice if you don't visit them in person (if possible) or go to their website (of course that's possible — you're on the Internet). Like most retail in SF — we didn't understand this at all — it opens at 11 a.m. instead of the usual-in-Canada 9 or 10, and what you will find when you walk in at or after that late hour is a huge, airy loft illuminated by a wall of windows (it may not surprise you to learn that San Francisco has a lot of natural light) and what seems like a mile of slanted display shelves bearing hundreds upon hundreds of knit swatches that you can fondle, arranged by weight, lace-fine to rope-bulky, atop bins of thousands of cones of irresistible yarns. The yarns are sold by the yard (they're wound onto heavy cardboard cones), and non-yarn people may not recognize just how amazing this is: it's as if perfumes were sold by the millilitre, and you could just have as much or as little as you wanted in serviceable little bottles instead of having to buy a whole 100-mL flask of something. The prices are beyond reasonable: everything's on sale right now, with some yarns going for as little as 3 cents a yard, and $3 for a hundred-yard skein is no more than you'd pay for many craft-store yarns. But these are nothing like what you'd find in a craft store. They have a yarn, Man Ray, that is 30% stainless steel: objects knitted with it have a weight and a slinkiness that you have never experienced before. They have yarns made of nylon paper, of silk ribbon, of recycled jeans. They have chainettes, bouclés, slubs, vrillées, and everything else you can imagine and some things you can't. In the end I bought eight cones of yarn, all between 200 and 300+ yards, and all in a fine weight suitable to make gloves, because I love to knit gloves for myself: I have about fifteen pairs and in the next six months I expect I am going to have six or eight more. And would you like to know what yarns I bought? Go on, say yes. The number-one find was Shush #4 (smoke grey: the colours are numbered rather than named), a blend of mohair and Lycra, and you glove-knitters, just order some for the love of god. Stretch mohair! And super-stretchy at that! It is going to make some soft, comfortable, warm gloves that fit like gloves ought to. It'll be awesome. Knit double, this yarn would also make a pretty spectacular hat, because it would fit so snugly and it would be so warm. Yaqui #5 (inky greens, blues and purples) is yak down; Camuse #3 (coloured like the Yaqui only brighter) is camel hair and cashmere; Carezza #1 (blue-black) is merino/alpaca/silk and OH MY GOD PEOPLE SO SOFT. And, let's see: granite-coloured Peruse #8 is half alpaca, half cotton (what? really? ); ink-black Tsuki #9 is mohair and silk (luxury, and I am going to knit it so tightly); sapphire-blue Sylph #7 is silk and mohair (the same thing with the emphases reversed, nearly triple the weight of the Tsuki for the same yardage, and SO SQUISHY); and Tantra is 100% silk (probably nothing but trouble when it comes to gloves, but the green-and-ochre colour, #13, seduced me). Nobody is paying me to say that Artfibers is pure fibre bliss, just the most sublime, gorgeous, wonderful yarns, and you need to check them out right away: even if you don't knit, maybe this will make a knitter out of you, and if it doesn't, find a grandmother or a co-worker to make something for you. These yarns will make you so happy. Jim needed some heavy felt for a project, so we went to Britex Fabrics one day, and HOLY COW. I don't sew and I don't have any real interest in learning how, to be honest, but if I did, I would probably spend all my available time and money there. THE LAST THING I NEED. 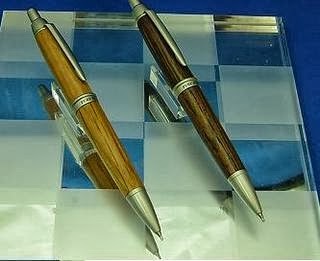 which is made partly of carbon fibre and looks like a tactical weapon. 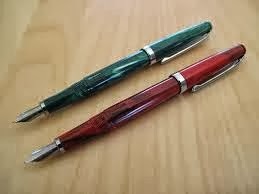 I can hardly exaggerate how excellent this pen is: perfectly balanced, weighty, smooth-writing. If he hadn't bought it, I would have. And Maido is a small chain that specializes in Japanese stationery items, of the kind we saw all over the place in Tokyo. Still an essential visit. a small chain called Essence du Papier is likewise well-stocked with everything a diarist could need, and they got some of our business, too. The fragrance department at The Bay on St. Catherine Street is kind of astonishing. In SF I went to Macy's and Nordstrom and Bloomingdale's, and I was so bored by the fragrance departments I could hardly stand it. The Bay, on the other hand, has a department the size of any two of those put together: it is massive, and the scope and scale are very exciting. Nevertheless, I didn't buy anything at The Bay because in the end it's mostly mass-market stuff, very little niche, and what niche there is not that interesting, to my mind. But I naturally ended up at Ogilvy, because they sell Serge Lutens; they don't have a huge selection, but it's a good thing I don't go to Montréal that often, because I can hardly ever walk out of Ogilvy without getting something Lutens, which is exactly what happened. 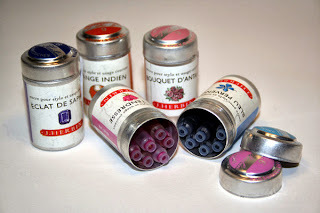 Among the dozen or so things I sniffed was Serge Noire, which I have already reviewed, and not in the most positive way. 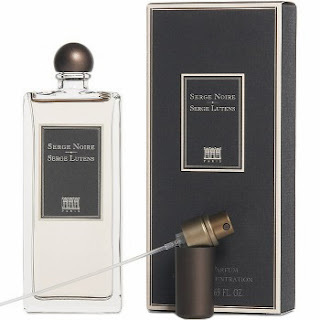 But here's the thing: Lutens himself has revealed the dirty secret of the perfume industry, that scents are reformulated on a regular basis, his own not excepted, and I am quite, quite certain that the Serge Noire of five years ago is not the Serge Noire that I bought a couple of weeks ago. When I smelled it at Ogilvy, I was struck by its leatheriness, something I didn't detect before. It still has that incense brutality and that Lutens sidewaysness, but now it's much more interesting than I once found it. I find Cuir Mauresque kind of boring, but Serge Noire is now a terrific, manly kind of leather scent that I am happy to own. We took the train back home from Montréal, because I love train travel and it is becoming increasingly likely that we will never be able to do this again: train service in Canada has long been a tricky proposition because, unlike the spiderweb hubs of the UK, Canada is mostly stretched out in a straight line (a very long straight line), and with flight being so comparatively fast and airfares becoming ever cheaper, train service is ever more cut back. We had supper before we boarded but ate breakfast on the train: the breakfast consisted of orange juice, toast, an "omelet" which was really a block of cooked eggs studded with what might have been red and green peppers, a heap of leaky salsa, some undercooked potato chunks, and two slices of dry bacon, the whole of it unseasoned and flavourless, every bit as tempting and nuanced as a ream of typing paper. "Airline food," Jim sniffed, but he was wrong: it was worse than any airline food I can imagine — by far the worst meal I have ever eaten in a vehicle. I don't expect a four-star meal on a train but surely they can come up with something better than this wreckage. However. The train car we were in was apparently a European model with ten double bedrooms, and each one has its own shower. The bathroom is tiny, no larger than an airplane's lavatory, and when you shower, everything gets wet and you have to towel off the walls and the floor before you can use the other facilities and even then it's all still kind of damp. But still, you get to have a shower before reaching your destination so you arrive all clean and fresh and happy, and how cool is that? In between San Francisco and Montréal we stopped off in Toronto, and we managed to avoid buying any pens, ink, and paper, thank god, but I did find myself at a skincare-and-fragrance store called Jacob and Sebastian, and I was not going to buy anything, but dammit, I did anyway. Two things, actually. 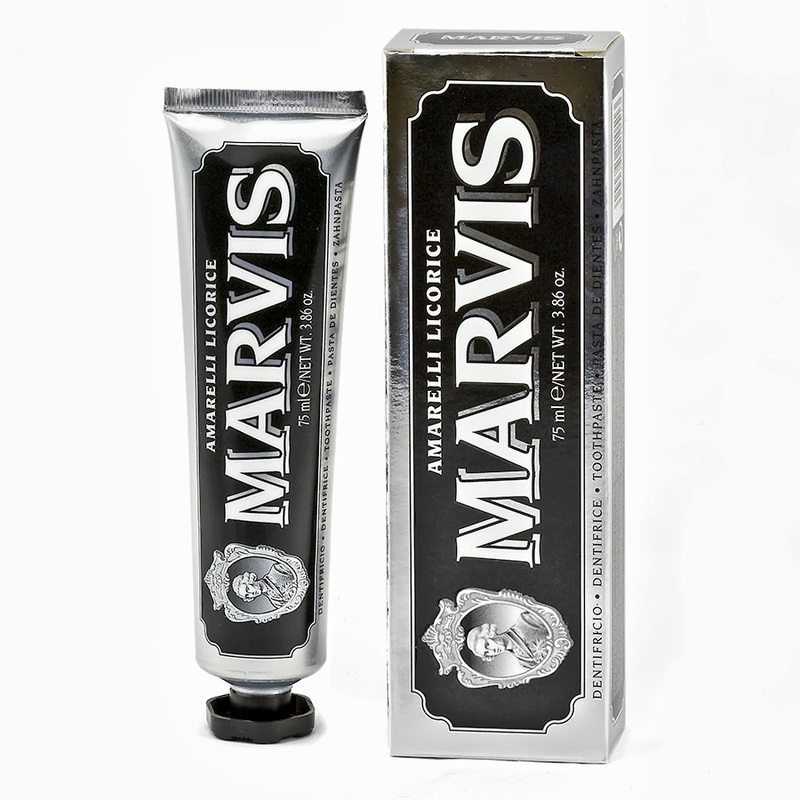 One was a tube of Marvis toothpaste in Amarelli Licorice, and yes, $11 is a ridiculous price to pay for a 75-mL tube of toothpaste, even if it is imported from Italy, but two things: 1) it is so yummy you could eat it with a spoon, and 2) you need only a tiny little pea-sized squib to get your teeth shiny and fresh. I may never use any other, although they do make some other intriguing flavours, such as Cinnamon, Ginger, and Jasmine, and I will probably end up trying those some day. 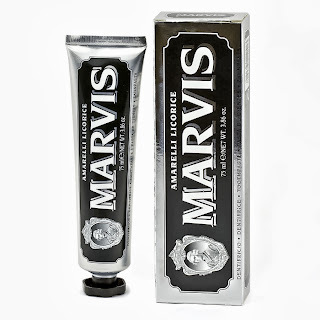 If they made a Rose toothpaste I would be lost. The other thing was the Encens Lavande, which brings us back to the beginning. And now we are home and I am SO not buying anything else for a long time: we have to pay off this trip and start saving for the next one, wherever and whenever that might be. Well, thank you! I'm never sure what (if anything) will interest people about my life and I generally assume that people mostly just want to read about the scents, but you never know, do you?